In Parenting is More Than Just a Formula, Jim Newheiser encourages parents with the only plan that is founded on authority we can trust: the gospel. When parents look at today's church and the larger culture, it seems more important than ever to raise godly, faithful children; for the sake of their families now and their children in the future. Many parents strive to find a formula guaranteed to make their kids turn out right and there are plenty of formulas to choose from - perhaps too many. Are any of the methods worthwhile? Where should a parent start? Jim Newheiser provides insight into the jungle of parenting formulas and techniques critiquing them against the only faithful guideline for raising children and for all the rest of life: God's Word. Jim teaches parents how to discern the value of different formulas, explains why they often fail and what truly determines how children turn out. In this book, Newheiser encourages parents with the only plan for parenting that is founded on an authority you can trust: the gospel, which is bigger than any formula. Parenting Is More than a Formula by Jim Newheiser was published by P&R Publishing in May 2015 and is our 42249th best seller. The ISBN for Parenting Is More than a Formula is 9781596388185. Be the first to review Parenting Is More than a Formula! Got a question? No problem! 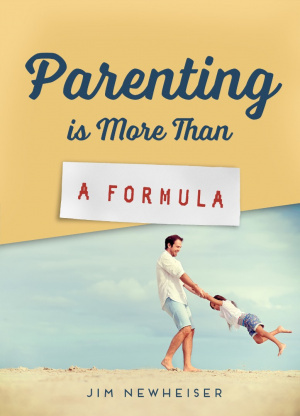 Just click here to ask us about Parenting Is More than a Formula. Jim brings clarity to what we as parents can and should do, while cautioning us to take a step back from all the 'formulas' that too often spur us to charge in with a detailed plan to what too often is nothing more than legalism and pride cloaked with a biblical veneer. Caution: Don't read this unless you want to be reminded of just how weak and dependent we are on God's grace and mercy in this whole parenting process! But remember - when we are weak He is strong. (2 Cor. 12:10)!" - Brad Bigney.